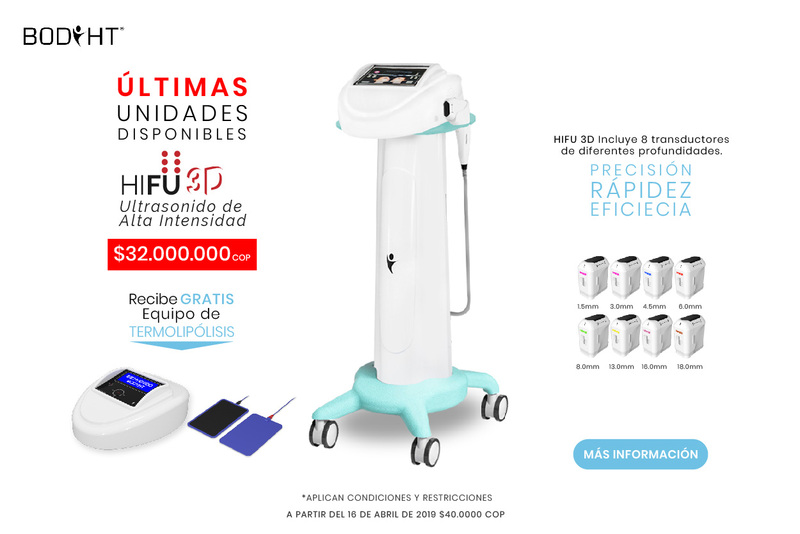 Our new lines of Active Shape Plus and Active Shape Premium Carboxytherapy from our BodyHT esthetic equipment house offer an innovative heating system that allows the gas to be supplied at a suitable temperature for the patient, so in that way the professional can apply a painless treatment. When the gas is at its natural temperature (10° of temperature) and comes into contact with the body it produces a sensation of discomfort in the patient. These discomforts can go from a small sting similar to an insect bite, tingling, itching or pruritus that will disappear within a few minutes of having the injection. This innovative heating system includes a handpiece through which the gas is applied at a warm temperature. In this way it is guaranteed a greater effectiveness in the process of elimination of the fatty tissue and its quick dissolution to be drained later through the natural ways (lymphatic system), also to tone because it destroys the adipose cells at the same time that it eliminates the flaccidity and increases the production of collagen in the face, favoring the elimination of wrinkles and expression lines. As an additional feature, the Active Shape line equipment does not condition the professional to only use the gas heating system, our machines also incorporates the traditional cold system through its sampling line and pedal that is more efficient for treatments of elimination of stretch marks, scars, expression lines and capillary areas. On the other hand, the Active Shape Premium line allows to configure the partial and general dose of Co2 while the treatment is being applied, thanks to this the professional can work different areas of the body simultaneously in order to perform a faster and more efficient treatment. All our carboxytherapy equipment has an intelligent warning system that controls the accuracy with which Co2 is supplied. In this way, a safe treatment for the patient and the aesthetic professional is guaranteed.